At Federation Models we make every effort to provide you with the type of service we would like to receive and feel you should receive. When a customer takes the time to let us know they are pleased with our performance we know we are doing it right! We greatly appreciate the support and feedback we receive and thought we should share it with our customers. We started keeping a record of customer's comments when we first went online in June, 1999. Since then we have processed over 20,000 orders and continued to receive your emails thanking us. The comments listed below are positive. It would be nice for you to believe we didn't make mistakes, but we do, and when we do we waste no time correcting the problem. Your satisfaction has made us what we are, simply the Best! Each item in our store is assigned a weight so the correct amount for shipping can be calculated. Ocasionally, due to the various shipping options available, when we ship orders overseas the postal calculator tends to charge more than is really required to ship the order so we refund the difference back to our customers. This is a typical refund email that we would send if necessary. This email is to notify you of a shipping charge refund for $15.68 for your order placed on 7/12/06. The postal calculator isn't always accurate for shipping overseas. We appreciate your business and apologize for the error. Thank you for refunding the shipping charges. I think that Federation Models is the best address for science fiction model builders like me, best quality for a good price. Thank you for being there and understanding what a science fiction fan wants to build. Looking forward for my parcel and thank you in advance. Thanks for your honesty, it is rare as diamonds amongst glass! I sincerely appreciate the honesty. Things like that keep me coming back for more shopping! Take care. Many thanks once again for the honest gesture. I very much appreciate it. Indeed, looking forward to the next time ( I have a lighted 1701-A that needs accurizing at some point - with parts and decals. I know to whom to call). Got my E kit and details today plus the 7 dollars in cash for the savings on shipping. I truly appreciate that. Thanks. Sincerely, Ralph. Thank you very much! You're the greatest! Just received the $20 refund via Paypal. I must thank you all for your superb efforts with my order. Thanks again and look forward to future orders. Thank You Ever So Much! Unheard of here in the UK. I will be back for more from your shop. I am really impressed with your service your good manners, and your honesty! Of all the webstores I have dealt with until now, Federation Models is by far the most courteous, upfront, and pleasantly informative. It's a real pleasure to do business with you. Quick answers to my inquiries, extremely fast delivery, and now honesty regarding a refund? I'd probably would never have noticed, so I must say you put a smile on my face! Thank so very much for the refund. I have never had an online store take such action on my behalf before. I am truly glad that I have found your store and I plan to buy a lot more from your online store. Many thanks for the shipping refund, that is much appreciated and I am very impressed. Thank you very much for your honesty, the Thunderbird 1 kit arrived in tip-top condition this morning. It's been a long time (years) since I made anything and hopefully this will mark the recommencement of a regular hobby, with further orders to your fine company in the future. Thanks again for the excellent service. Thank you for your honesty. It is greatly appreciated. I will be sure to pass on your company name to friends here in Scotland. I received my Alliance Type 13 Shuttlecraft today, HOORAY! I was also surprised and impressed to find that you not only refunded my shipping cost, but also included a very cool 1/537 Runabout kit! You certainly know how to treat a customer, and I look forward to buying from Federation Models in the future! Thank you very much! Received the model and the reimbursement today. Modelers are going to be pleased. Thanks for the quick turnaround and great customer service. You certainly have a customer for that. I have been very pleased with the fast shipping and products I've received. I only created a second order as an afterthought, so I didn't really mind. But I do appreciate this highly. It's little things and conveniences like this that keep me coming back to you guys (coupled with your extensive selection). So thanks again and you can count on me coming back to you in the future! The kits arrived first thing this morning. That's great service! I'll definitely be ordering from you guys again. I recently purchased several models from you over the net for delivery to Australia. This is probably the third or fourth time I have bought models from you and each time the experience is fantastic. I phoned up on a Friday night 11:30 pm (my time that is), to make sure the kits I wanted were in stock. The gentleman I spoke to was extremely helpful and I was soon placing my order on line. After some confusion as to shipping prices, I decided to explain under 'comments' at the end of the form that I wasn't sure if I had selected the right shipping method, but being the cheapest I figured it was probably right and left it to your discretion. A couple of days latter you informed me that there was a better shipping method, it was cheaper, and that you had sent my models this way and refunded the difference. This is outstanding service. I only ever order models once a year or so, so it's always an exciting part of the year, and every time I am blown away at the service and at how quick it all takes. As I said I ordered at about 11.30 on a Friday night my time. The models arrived Wednesday morning my time. Wow! That's quicker than ordering things in from a local shop! I just had to write to express my gratitude and the high opinion I have for Federation Models and your staff. As for the models (Warp Cardassian Crusier, 1400 scale Delta Flyer, Speedboat shuttles, Runabouts and Bajoran assault ship) I am as always very impressed. I look forward to ordering more models soon (already picked out my next fleet additions), once again THANK YOU VERY MUCH. P.S. Cheers mates from Downunder, it's bloody cold here at the moment. Thanks for the message and for the refund. My model conversion kit arrived earlier this week. Just want to record my appreciation and thanks for a really great and quick service!! You sure know how to treat customers. Keep up the good work! I placed that order last Friday, I think, anyway it was here in the mail this past Monday! I thought that extra $6.00 was for the fantastic and super fast service you guys have out there! That's great, you just keep doing what you do and you have a customer for life!!! Thanks for the heads up, and the honesty. One of the main reasons I keep coming back and ordering. Just wanted to let you know my recent order to you arrived safe and sound today. Again I am astounded by your rapid delivery. Customer service is indeed very important to you. As one of your customers I thank you. Thanks for the phenomenal service. Just wanted to say that I received my order and it is fantastic. A million thanks to you and your outstanding service. Wanted to let you know how much I appreciate your fast service - saw on your website that this was in stock on the 31st of August, had it in my hand just a few days later. I just wanted to say thanks for the great service and products I've purchased lately. I was really impressed with accurate resin parts and decals from DLM for my "22 Enterprise model. The well made instructions were greatly appreciated by an average model builder as myself. I ordered a Cardassian Keldon conversion kit from you back in June (or it might have been July) and I just wanted to say that I finished the kit... it was WONDERFUL! The casting was excellent, the details were nice and crisp and there were only like 1 or 2 resin holes that needed fixing. However, the resin pieces were simply WONDERFULLY crafted and the whole kit turned out looking downright professional. Again, thank you very much for some great, beautiful work on that conversion kit! It was well appreciated in turning the Cardassian ship into an even more impressive sight. Item arrived today! Thanks so much for fast shipping. I am happy to find such a great dealer like you and will order from you again. I appreciate your special efforts and have forwarded your site to my other modeling/sci-fi friends! Just wanted to let you know I received my shipment yesterday. No matter how many times I order from you I'm always astounded on how fast the turnaround time is from you. I really didn't expect that order until some time next week. Especially with the holiday there in the middle of the week. Simply amazing. Thanks again for the over the top service and the great merchandise you offer. I have received the templates today and I am so pleased with your excellent, fast service. I look forward to doing business with you again in the future as I have several models to complete. Just wanted to write & say thanks! I was very pleased with the products I ordered & the quick delivery- I think it took 3 days from order to door... Again, Thank You! I have just received my models and decals today! They are marvelous and exactly as I expected! I am a customer of yours and have always gotten great service from your company. I just wanted to thank you for our business over the past year. I have quite a collection of Star Trek models and resin kits now and I continue to purchase more in the future. You have sold quality items which I have assembled and painted with great love. Many of the items you sell are also very hard to find. I rarely see resin models at conventions. You are providing a great service, especially to Star Trek fans like me. Quark would be proud of you. Thanks for sending my order so quickly. It's always a pleasure dealing with you. I purchased several items from you on order number 15853, and I just wanted to say thanks for the excellent service, excellent communication, and finally the speedy delivery, considering it was shipped on Friday, and I received it yesterday (Tuesday), in the UK.......THANKS. Just wanted to say that I have enjoyed excellent service from Federation Models. After a run in with a place called ***** ******* that ripped me off I have learned to really appreciate honest and speedy service. I have ordered several kits from you guys and plan on ordering more! I just wanted to drop you a quick note to say thank you for sending my order so quickly. I ordered the kit on Wednesday and it arrived on my door step this morning (Saturday), absolutely brilliant! I received your package here in Australia on the 8th July (in great condition)! Thank you for such speedy service, and for also keeping me informed as to dispatch progress. I'll keep in touch, and once again, thanks for such good service! I am writing to you because I would like to say thank you, for sorting out the missing model so fast. I must say I am impressed with the service you deliver and without a doubt, will be purchasing from yourselves again. Thank you very much for the email. Keep up the good work. The site is fantastic. The only draw back is that there isn't a UK based site, except Comet Miniatures, but you definitely out rank them. Thanks as always for the super-fast service...and for accommodating my last-minute order addition. You people are the best in the business. Keep up the great work. Just wanted to let you know that the order I placed Tuesday night arrived today. Considering the recent problems you had I figured that it would take awhile for this order to arrive. Once again your exceptional service shines through. It's always a pleasure doing business with you. Thanks a lot, the models and decals arrived Wednesday last week - absolutely fast! I will surely order again in the near future! Thanks a lot again to Federation Models! Holy cow, that was fast!!! Waiting for this stuff turns grown people into impatient 5 year olds - I almost fell down when the mail came this morning! Thank you for such quick turnaround, I honestly didn't think I'd get this for another week. Just a message of thanks for the great service, I received the kit 5 days after order, great stuff for "Downunder". You are the ONLY retail place on the entire internet that I've seen who actually try to avoid annoying the customer! Hi! I just wanted to let you know something...I found your site by accident after making a deal on Ebay for a Polar Lights Jupiter 2...You answered my inquiry in record time, and I sent in my order for the J2 Fusion Core....Not only did it beat the model of the Jupiter 2 to my house, but it IS THE FASTEST ONLINE-DEALER MAIL ORDER ITEM DELIVERY I'VE EVER HAD! I am getting back into modeling after a several years break, and enjoy modified/scratchbuilt "complicated" projects of ALL kinds, including sci-fi. After an enjoyable cruising of your website, I can assure you that YOU WILL BE GETTING MY BUSINESS IN THE FUTURE! Thanks for a fast, courteous, and professional transaction. I would like to thank you for your quick reply to my emails. Of all the model companies that I have bought from yours is the only one that responds so quickly, and does not act "put out". That is why I'll try to do business with you first before the "put out others". Thanks! I just wanted to drop a note and say thank you! I got my order today, the parts look great. I'll shop here again! I got your articles! Thank you! All of them are very fine! Also it was good to ship the first package with them (package in package! ), so I can get the money of the second shipment back from the Deutsche Post. I was very surprised and pleased to receive my replacement decals for the NSEA Protector in the mail today. I appreciate your great customer service. I got the Enterprise 1701-E today and just want to let you know how great you guys are! You blow away my local hobby shop here in San Jose. Just wanted to drop a quick line and compliment you on your excellent service. My latest order just arrived, well packaged and up to your usual standards. An order I place three months ago from Monsters-In-Motion arrived today as well, minus an item and not including a refund check. 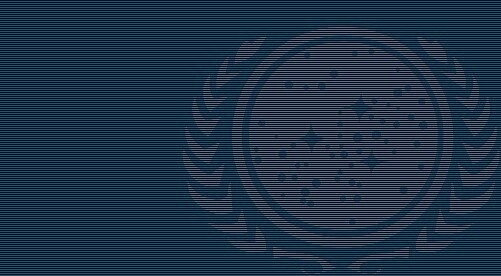 From now on all my models will be from Federation Models! I'm just checking in to see if my orders have shipped. I called and the nice lady I spoke to was going to rewrite the orders so you could ship what was on hand while the rest was waiting for restock. I believe this was Monday I spoke with her, so I didn't know how long it took you to restock the missing items. Just a note to you also the lady I spoke to was very polite and helpful when I didn't have my order #'s right in front of me, she took the time to help me out and explain things to me. I want you to know this kind of service is greatly appreciated (by me anyhow!) in this day and age. Keep up the good work. You have a customer in me for many years to come! I received my order last week. Just wanted to say thank you and let you know how much I appreciate the professional manner in which you run your business. Howdy! :) Ok, I wasn't sure if the payment made it or not, please email me when the shipment will be sent out. I didn't realize how popular the Prometheus is! Thank you for responding, this helps me brag on you, and brag about the selection so others can come and order from you, rather than the "other" guys! THANK YOU! THANK YOU! THANK YOU! I just wanted to drop you guys a note and say, thank you, my Thunderbird One kit arrived today in great shape. That's the one I was looking for, with wings and strut landing gear. It's fantastic you can special order from other people. You are indeed one of the best stores for model kits, great service, super fast shipping. A tip of my cap, to you guys and gal. Dave Dabbert - Milwaukee, WI. I just received your email and since I was not expecting an answer I must say I couldn't be more satisfied. I had a problem (a year ago) with one of my many orders done in the US, and I must say that I'm impressed how much care you take with your customer when there is a real problem. I really think Europeans have a lot to learn from you in that area. Be assured I will continue to trust in your company for future orders. I am writing to you to say that I am totally impressed by your service. I ordered 2 models and 3 sets of decals from you on Sunday 11th April, and received them Thurs, 15th April. The fact that that is only 4 days from ordering is impressive, however the fact I live in the United Kingdom is outstanding. I have ordered from you several times before, (although I was living at a different address), and have been more than happy with your prompt service. Once again, thank you for you good service. Just a quick note to say my order arrived and is in perfect shape. I am very impressed with the speed and quality of customer service you have provided and will look forward to ordering from you again. I just wanted to express my extreme gratitude to everyone at Federation Models. I always say thanks in the comment boxes provided when I buy something, but I thought I'd just take that extra little step this time. My grandparents bought me my first model back in 1968. Classic AMT Enterprise, lights & all. I've been a junkie ever since. But I never even imagined the possibilities inherent in these models until I found Federation Models. Since then, you guys have given me the excuse I needed to rebuild every damn model I ever built in the first place. Even my wife doesn't argue with that logic! Man! What a fantastic gift! And you folks are just trying to make a little money doing what you love doing. I have nothing but utter admiration for your business. I have money. You have what I want. I think we have a nice business relationship. Blimey, that was quick sending my order out - You should set up a store over on this side of the Atlantic! We could do with a decent SF model store! Thank you for your response, it is always a pleasure ordering from you and getting surprises in the mail. Have a great day, the package on Monday brightened an otherwise bad day at school. Thanks for making my day. Thank you very much for your email. I really appreciate your concern for my situation, and have to say that I was really impressed by your decision to refund me. It is not that easy to be in relation with a company with such a positive and correct attitude. I really thank you for having understood my problem. I wish you all the best and we will certainly be in contact with you again in the future. Best regards and greetings from Switzerland. I received the replacement parts today for Cheyenne class and 1701 Refit. Thank you very much for the quick service! I only want to let you know that I received my order yesterday. Many thanks again for your help, I will surely order several times in your shop! Thanks und best regards from Germany!! I received my order today. I must say that I am very impressed with the quality of the products, and your exceptional service. What with the hurricane down your way, I was expecting to wait a bit before receiving the order. But, here it is, super-quick! Did you all use a Transporter :). I just wanted to let you know that this is my favorite site. I'm really sorry about what happened to your store. I was in Houston at the time Allison came by. I woke up and I was walking in an inch of water. I just though I would send you letter of support to make you feel better. Your service to me has be impeccable as in I can trust that my items are delivered safely and they always come on time. Take it easy and good luck. That was actually a lot faster than I thought it was. You guys have great service and let's hope that Ivan doesn't get near Florida. Well, once again, I have to say you guys are the greatest. I just ordered a few decals from you a few days ago and they arrived this morning. I just wanted to thank you for the speedy delivery and excellent quality. Hello Friends of Federation Models, Receive a greeting from Spain. I have received on Friday, the two orders that I made previously, together and they have arrived very well, and very well packed. I am very happy with their attention and I will continue making orders. Thank you Federation for your very prompt and careful attention to this...I very much appreciate it and will most certainly buy with you again. Now, if I could only get just a few of the businesses here in Canada to have the same service standards as you do, we'd be in luck. Service here tends to be abysmal. And yes indeed, thank heavens for the human touch...as 'smart' as our machine are, they still can't quite match the human factor. Again I thank you for your help, and eagerly anticipate my kit's (the one I DID buy lol) arrival. Thanks for shipping that order out!! I really appreciate the great service!! Just thought I tell you that my Enterprise-E arrived yesterday. Thank you very much for the fast service. Great kit. I simply want to thank you for your great shop and your great website. I'm a big Star Trek fan and my father builds a lot of your great models and conversion kits. I hope to see your offer for a long next time and I'll buy only at federationmodels.com. Soon it is Christmas and it's time to present my father. I received the kit just yesterday! An order from the USA has never been so fast! Particularly, I liked the fact that you placed the original price of the model on the package, it made it "bypass" customs! WOW! When I place an order on Monday, and it arrives on Wednesday, I'd have to call that super service! Incidentally, I mailed them a proposal that they charge the amount, and then sit on the shipment for a week or so, to see that payment goes unobstructed.. Guess what? They just mailed me a notification of charge to the card, so apparently they've swung around on this one. - Not that they troubled themselves giving me any other kind of information or apology...? Just wanted to let you know that I received my order yesterday. I am very pleased with all of the items. Just got my Whitestar model last night. A tiny model with great detail. The wing guns can be easily scratchbuilt with pieces of tube and wire. You people are awesome! Thanks for the incredible service. I continue to be VERY impressed with your service. I didn't receive a reply from you concerning my request for replacement white metal parts that weren't molded completely, but less than a week later, I got a small box in the mail from the kitmaker with perfect replacements inside! Once again, your service is excellent. I will buy other kits from you in the future. Hi, Thanks for items, they took just 4 days again to reach me as you sent them on the 24th, this is very fast shipping. I wish all were like you with their orders. I received the TIE Fighter today and it is awesome!!! Thanks for your great service and especially for the military discount! You guys made this troop happy! All looked well and I didn't find any discrepancies like broken pieces. Thanks again...you can bet I will be ordering from you guys in the future! Thank you for your fast response to my problem, the decals arrived today. I have been very pleased with the service from Federation models and I will not hesitate to recommend and use your company again in the future. Thank you for sending the replacement part for my Nebula model kit. I wasn't expecting this, and it was a welcome surprise. Once again thank you for everything you have done to help me resolve my modeling issues. Your company should be the model (no pun intended) for all others in this business for your tireless effort and ability to please every customer. Greetings. This is just to let you know that Invoice No. 10964 arrived safely yesterday morning. I also want to thank you for my order and the swift service and delivery. While I have not yet had the time to open and examine each box I'm sure I will be delighted with them all. I also wanted to thank you for putting the small individual item boxes inside the manufacturer display boxes. I quite like those, thank you. I received my shuttle bay extension yesterday and it looks great. Thanks for a great model at a good price. I will definitely be ordering more stuff from you. You have the coolest stuff! My stuff arrived safe and sound yesterday (31st March) so speedy service from you as usual! The 1/350 shuttle pods are really neat and will look great with my NX-01. I hope you liked my write up in Scale Models Intl. of the Polar Lights 1/1000 Constitution using your after-market products. Thanks for the replacement parts in advance. Perfect customer service, as always - the way you do your business is a perfect example for everyone! The models arrived today. They are amazing. Thank you very much, and also thanks to Alliance for making such beautiful models! Just received my Polar Lights refit Enterprise. FANTASTIC! Thanks guys for the excellent service! Thanks so much for the two kits. They are truly awesome. Both companies seem to have created some beautiful resin castings. Alliance seems to have the better decals though. Luckily for me, they did the Delta flyer! Truly wonderful kits. Koji and I truly appreciate the gesture. Thank you very, very much! I certainly shall be shop with you again! I was especially pleased with the speed of receipt of my order and how well packed it was. My order was promptly received, and properly packaged. It's nice to encounter a reliable vendor. They are rather rare these days. Hello…Just wanted you to know I received my order yesterday. Thanks for the friendly and fast service! I just received my order today including the 1:1400 "Akiraprise" model of the NX-01. When I pulled the model from the box, I was instantly struck by the quality it radiates -- this is one exquisite miniature... Detail, casting (no bubbles! almost no flash! ), proportion, and overall fit-and-finish lead me to keep picking it up just to make sure I wasn't imagining my first impression -- *truly fine work*. I don't know who mastered this or who does the casting, but I tip my proverbial hat. Admittedly, the scale is off -- actually it's about 1:1600 rather than 1:1400, but when finished and it joins my "fleet museum," it really won't matter. I've been dealing with Federation Models and the artisans you represent for a while now, and *this* piece of resin has lead me to write you. My experience with Federation Models has been as pleasurable as this "Akiraprise" and I wanted to let you know that. Thanks for great service, and I look forward to buying models from you for a long time to come. I'd just like to take this opportunity to say that it's always a pleasure to order from Federation Models. I haven't ordered all that much from you, but every time I have, I've always gotten exactly what I ordered and I got it FAST! And now, I have the opportunity to experience your Customer Service. Thank you again for looking out for my electronic security, and thank you for working with me. I just wanted to say thank you very much for may order, I received my parcel first thing this morning which was very fast for USA to UK delivery, I'm extremely pleased with the quality of the models I have purchased, I'm a very big Star Trek fan and experienced modeler and I was delighted to find the detailing of the models to be so accurate. I will defiantly be shopping with you again! Got the Jem Hadar Battlecruiser in today & all I can say is WOW...and thanks..
Just a quick note to say that the Dominion ship arrived AOK yesterday. (So much for fast delivery. Royal mail tried to deliver it to the wrong address twice). I thought that I saw on your site that it was made by Alliance, but it came through with a Starcrafts label??? Anyway, whoever made it, tell then from that it is A-1 and probably the best resin kit that I have ever seen. The fit of parts is more akin to that of an injection plastic kit. I am well impressed and may well buy another a bit later on. Thank you for the warp speed delivery of my order! The kits and the templates arrived last Tuesday, but unfortunately I have not found the time to write to you. Both the kits and the aztec templates are fantastic! I am very happy with your service and I inform everybody in my hobby circle as to how dependable and professional you have been towards me. Thank you very much for your efforts on my behalf. I love dealing with you folks, and I tell everyone I know who has any interest in modeling that Federation Models is the best company out there by far. Just dropping you a line to thank you for your fantastic service. I ordered a set of Aztec Dummy masks from you last Wednesday and got them in the mail here in Cork, Ireland yesterday morning (Tuesday). Now I have no excuse not to start my NX-01, except perhaps building a house extension to display it! Mr. James C. Medd, esq. Hello people, my name is Vicente, I'm from Spain. I've already bought some of your products, and I just wanted to say you thanks, and thanks for your existence!! Each time I enter your web site my hands rumble. As a student right now my economic possibilities are limited... but believe me, the moment I get a job (as engineer) I plan to spend thousands of dollars for your models. They're so cute, pieces of art that can only be found thanks to you. Just dropping you a line to let you know it got here and in good shape. Thanks for the quality of everything over the years. Thanks for the update on my order. I did receive it today and I must say I am very impressed with this kit. It is very much a pleasure to do business with you and I look forward to placing my next order. Thanks for everything. I wanted to thank you for your spectacularly prompt and helpful service in my buying the two Leif Ericson Scout Ships. This was my first dealing with Federation Models, but will certainly not be my last. Just wanted to let you folks know I did receive my order today and the quality of your service is outstanding. My order was expedited quickly and efficiently. Also the quality of the kits was nothing short of fantastic. I will most definitely recommend you to all my friends in the modeling community and I plan to do business with you again soon. Just received my kit. You guys have fantastic service, been very satisfied every time I've purchased. Please administer 1 well deserved pat on the back to yourself. Package arrived today; I am quite impressed with the speed of delivery; I will definitely order from you next time. Thank you for shipping these so quickly!! I used another company in the past and it took them 8 weeks to get me my decals. I will definitely use you guys again!!! Just a note to let you know I received my order of decals today. They look wonderful. You guys give great service. Keep up the good work. Just got my Mini-G in the mail today. Thanks. REALLY CLEAN CASTING !!! Two thumbs up! I just wanted to drop you a line to let you know that today, on Christmas Eve, I received my JT Resin "Alternate Bridge & B/C Deck". What a nice surprise! I love dealing with your company; Federation Models is an invaluable resource to folks like me, and I wanted to let you know that you are very much appreciated. I received my order just last week. Everything arrived in perfect condition. I have said it before and will say it again: thank you for providing this great service! I look forward to my next order with Federation Models. Thanks for the very quick reply and update. Every time we buy a model from you, the experience is always a happy one. Everything arrived promptly and complete. It has been a pleasure doing business with you guys. I am pleased with the quality of the miniatures I ordered and will eventually order more from you. Hi, I just wanted to let you know that the model was received this morning and all my son can say is WOW! Recently I bought two of the resin New Battlestar Galactica Kits. I just wanted too let you know that I had received them. They are FANTASTIC! It really is a pleasure to deal with you guys. You always seem willing to help out with questions, which is great and rarer than it should with an online business. Also I appreciate the fact that you give order confirmations and shipping confirmations. It helps to know that my order was received by you, which is something many other sites don't bother with. It really puts your site head and shoulders above the rest. Once again, I want to thank you for being there. You don't know how much I appreciate it. I have a lot of stresses in my life, with a lot of health issues, financial issues and the like. I am trying to support a wife and five children and have had several surgeries and my health is pretty bad. I can't do an awful lot so model building is not only a hobby, but also therapy for me. Since I love spaceships, finding a place to get spaceship models is important to me. So I just wanted you to know how much your site means to me. It is an opportunity to get something that is not only recreation, but helps me cope with the stresses of life. You guys are fantastic. I am a very loyal customer. You will hear from me often. Thanks again. I would just like to say what great service I have received. I have placed three orders with you over the past month and received them in next to no time. My last order was placed 27/2/06 and I received it 4 days after and seeing it was being delivered to England that was superb! So I thought I would send an e-mail just to say I think you provide a great service and I will be placing more orders from you in future. I received the mini Galactica kit yesterday on March 13th. Thank you very much for it. I will always recommend your shop and your perfect service. I put up a link to your website actually. A modeler send me pics of his finished Galactica kit and I published on my website www.phoxim.de published the link to your website with the article. Just thought I'd let you know that I received my "Betty Transport" model this morning safe and sound. I'm really going to enjoy building this kit. This is fantastic service all round. You will be hearing from me again I can assure you! Just want to thank you for the missing parts you sent, I've received it. That's professionalism !Thanks a lot ! You guys have always provided excellent service. The only additional thing you need to offer is a solution to the "too many models, not enough time" problem!!!!! Hi, I received the kit of the Cylon Raider today and I just have to say it is absolutely beautiful! I just have to write and let you know. Most people only take the time to write and complain, but I thought I'd write to say something good! Your delivery was fast, well packaged, and the kit is as beautiful as described. I work on the show as one of the Senior CG animators and it is really beautiful. Once built and displayed the VFX producer will be jealous! He loves that kind of stuff. If Howling Wolf did a Viper Mk II in that scale I would be in heaven! These castings are superb. You had sent me a Delta Flyer a few years ago as you found out I built it for the show (CG) and it also was the best quality ever! So far, for what I've gotten from Federation Models, I have always been surprised in a positive way. Please keep up the good work and the quality vendors. Just thought I would drop you a line to thank you on a fantastic service. Just got me order today (Starfighter Cockpit AM-25 and Buck, Wilma,& Twiki figures, RMC-51) and all I can say is superb!!! If this is the standard of your kits the Starfighter, AM-05, which I will be ordering very soon will be outstanding!! I just got my decals in the mail. Super-fast service, as always; great product, as always. Your customer service is simply the best! I really appreciate you folks. Hi Federation Models, All arrived safely here today and I want to give you a big thank you for the easy transaction. I got the kit and decal I ordered last Friday, today, Tuesday. The quality of both is great. Thanks a lot for your great service, also I paid no taxes (the second time). Just wanted to say thank you for an excellent service, 1st class delivery and great product. On 11-27 I ordered a model for my son for Christmas. It was to be delivered to my sister and she would let me know when it arrived. It was almost 2 weeks since ordering and I hadn't heard from her. I was about to contact you but felt I better double check with her. Turns out she had called my wife TWO days after I had ordered to let her know it had arrived......my wife forgot to tell me. I can't tell you how satisfied we are with your company. We have ordered several times from you and have NEVER been disappointed! From easy navigation of your site thru checkout and delivery you simply provide the type of customer service most other companies today only dream about. How you got my order processed, in to the hands of the post office and to my sister in Illinois in 2 days is truly amazing. If in the future you ever need to cut expenses don't do what most other companies do and cut customer service ... this is where you excel and keep customers like us coming back! Ordered on Friday... Delivered on Monday. That's what I call service! Special thanks to Tracy for dealing with me after I finished working 3rd shift and was half asleep. I look forward to further dealings in '07 HAPPY HOLIDAYS! I want to thank you for the "way faster" than expected delivery. I also wanted to thank you for your patience when I kept e-mailing you. You have an excellent company, and I look forward to buying more models from you (hopefully with in the next month or so). Once again, thank you, and keep up the good work. If you ever want a customer testimonial, please let me know. I'll be more than happy to provide one for you. The part arrived yesterday. Thank you so much for taking care of this so fast. I really appreciate it. Hi FM, Would like to Thank You Very Very much for the decals I recently ordered, fantastic delivery, time, excellent communication, all in all outstanding. Will definitely use you again in the future. I want to thank you for the "way faster" than expected delivery. I also wanted to thank you for your patience when I kept e-mailing you. You have an excellent company, and I look forward to buying more models from you, hopefully with in the next month or so. Once again, thank you, and keep up the good work. If you ever want a customer testimonial, please let me know. I'll be more than happy to provide one for you. Got a delivery from Across the Pond yesterday! Gawd! Fed. Models are an excellent service...dropped to a silly price and posted near-instantaneously, over the Christmas Period! Outstanding! Hello Federation Models,The two Thunderbolts arrived the other day in very good shape. I am very pleased and will definitely shop with you again, and gladly! It's amazing, the order arrived today!! Thanks for the extra items and can-cozies! Your correspondence has been friendly and honest, and I really appreciate it! The models look great, I am glad I found your site... found items I never thought I'd see again were readily available. Marion, I am delighted with the model, it arrived today. I am sad that a member of your team gave up their copy just so i could receive one sooner. I am very grateful. I appreciate the great lengths you and Federation Models have gone to to complete my order and I assure you I intend to be a repeat customer. I wish to thank you for your kind attention and please extend my gratitude to the Federation Models family! Like always, The decals I bought 3 weeks ago are superb. You always have the best of quality products. And I will continue to do business with Federation Models. Dear Federation Models staff,A quick email thanking you on your service. I read the ordering information carefully as you advised and read that orders normally take 4-5 business days to process the order. You can imagine my delight when my model I ordered Monday showed up at my home on Friday. This is my first order with you and you can be sure it won't be the last. Again, thanks very much and a pat on the back. I just wanted to say thanks for the quick turnaround on my recent order (Bird of Prey hinge kit). I think that was the fastest I've ever received an item bought on-line!